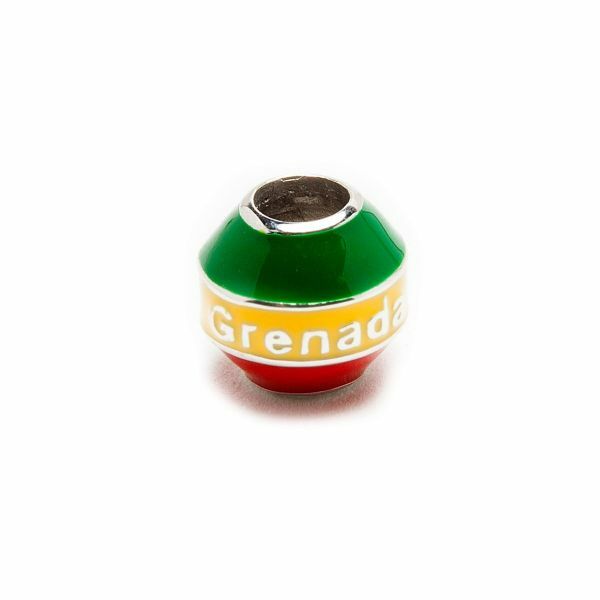 Show your love for the spice island with a flag inspired Grenada charm. Sterling silver embossed with red, green and yellow from the Grenadian national flag. All charms are approximately 10mm in size with a 5mm diameter hole. Show your love for the spice island with a flag inspired Grenada charm. Sterling silver embossed with red, green and yellow from the Grenadian national flag. All charms are approximately 10mm in size with a 5mm diameter hole and will fit on any charm bracelet.